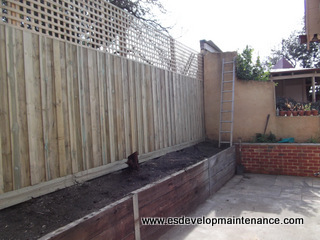 ES Developments & Maintenance specializing in construction building and maintenance services our customers throughout the Melbourne CBD and outer metro areas helping them with many of their construction building and maintenance solutions. Our customers constantly engage us as we have a fine eye for detail building construction work and a strong attention to project design constraints and deadlines engaging us in these services. Decking areas can create a stunning effect to your outdoor theme giving you great contrast in textures and other existing surfaces. 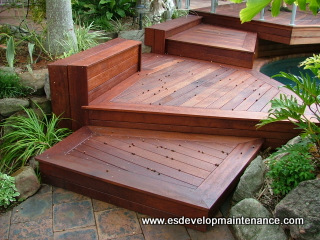 Decks enhance the living space for maximum effect ask us we can develop a 3d model of your proposed design. Simple walls onto your secluded decking space can create privacy and block out unwanted scenes letting you and your guests enjoy that special area even more. Paving your outdoor area gives you a clean flat surface add some knotwood privacy screens to block out the surrounding views and watch this area totally transform. Privacy for dedicated areas offer functionality and aesthetically improved looks. 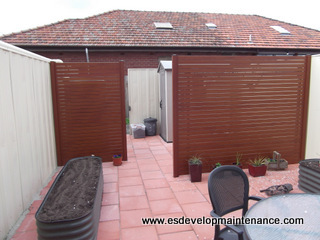 Custom timber paling fencing gives your property boundary the privacy and practical look with a pleasant feel to your desired area we also supply custom design Knotwood aluminium fences privacy screens, decking, cladding. Bathroom Remodels using porcelain tiles add great texture to your bathroom area's making dull wet area's come to life creating nice lines and borders with great textures to match and compliment other porcelain items in your bathroom. 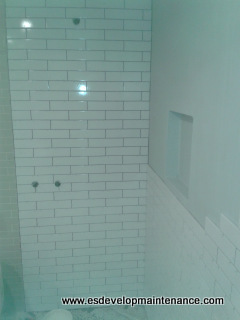 Floor to ceiling tiling is a clever design and common in many modern bathrooms. 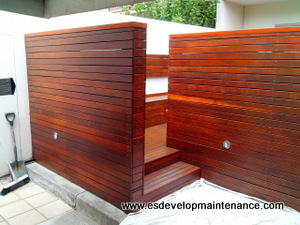 ES Developments & Maintenance services has built a reputation for promptness and good workmanship with all our tradesman being police checked we take pride in security for our customers we work hard to ensure complete customer satisfaction and consider all our customers as a family member. Our Quality Assurance and project management systems allow us to maintain a high level of customer service for the best outcomes to our customers and us. We have developed a high level of expertise with various projects utilizing our skill sets and depth of knowledge from various disciplines eg. Engineering, Construction, Project Management. We can provide a full remodel and Interior design service to compliment your existing home or if you are reselling your property a remodel with some simple idea's to achieve a better market price. These simple tasks might just be a simple interior repaint with some neutral colors, replacing dark and aged dated colors will create more light and open up smaller rooms creating a large and lighter look. Placing some mirrors in the right location can make a small room feel large. lighter neutral colors on the walls and trims will gain a much warmer and open feel to a room, also by simply changing the floors to a warmer timber covering will contrast the walls and ceiling you can achieve an exceptional look with minimal costs. Inspiration and Ideas to get your construction projects up and running in the shortest time frame we have simple advise and tips on how to get the best results for costing your project.